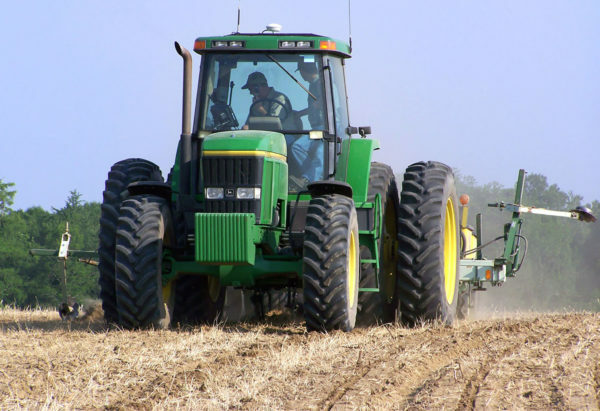 The farm economy in the Federal Reserve’s Tenth District dipped in the second quarter of 2018 alongside a sharp drop in the prices of key agricultural commodities. Agricultural credit conditions also deteriorated and bankers continued to report a modest increase in problems with loan repayment. Meanwhile, elevated demand for farm loans continued to place pressure on liquidity at some agricultural banks. Despite these challenges in the District’s farm economy and additional increases in interest rates, farmland values have remained relatively steady and provided ongoing support to agricultural credit markets. 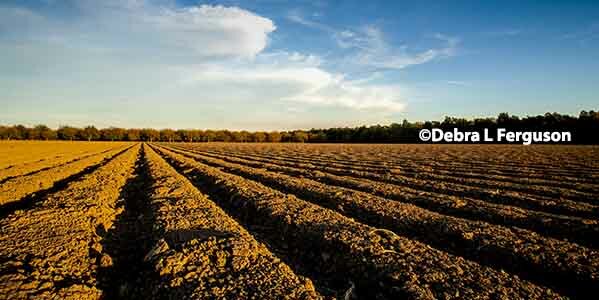 A decline in farm income accelerated slightly in the second quarter as crop prices plummeted in June. In contrast to earlier signs of income stabilization, more District bankers reported a decrease in farm income (Chart 1). The sharp decline in crop prices likely contributed to reduced income. In June alone, prices for U.S. soybeans dropped 17 percent. In addition, from the beginning of May to mid-July, corn prices also dropped 17 percent. Despite the steep declines in crop prices, however, the effect on farm income was somewhat limited with several months remaining before harvest begins. 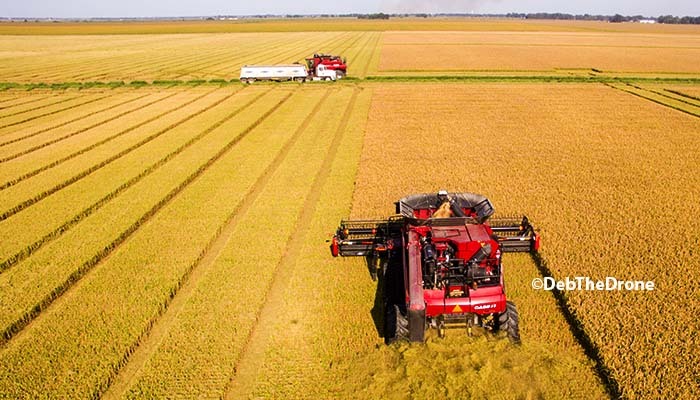 While the sharp declines in commodity prices may have had a limited effect on trends in farm income leading into the second quarter, the conditions likely had a greater influence on future prospects for farm income. Income was expected to remain subdued across the District in coming months, but that effect could be exacerbated in states more heavily concentrated in commodities—such as soybeans—that have been targeted by retaliatory tariffs (Chart 2). In the corn and soybean heavy states of Nebraska and Missouri, more than 50 percent of respondents expected farm income to decrease in the next three months. In comparison, less than 35 percent of respondents in Oklahoma and the Mountain States expected income to be lower. Ongoing weakness in the District’s farm economy continued to dampen spending in the sector. While the pace of declines in both capital and household spending slowed from previous quarters, about half of bankers in the District continued to report lower capital expenditures and about 30 percent reported lower household expenditures (Chart 3). Bankers indicated they expect borrowers to continue to reduce spending in coming months, but not as sharply as in recent quarters. The combination of persistently weak farm income and reduced spending also continued to put pressure on the nonagricultural economy in rural parts of the District. As in recent years, weakness in the District’s agricultural economy had an adverse effect on Main Street business activity throughout the Tenth District (Chart 4). Similar to farm income conditions, however, the effect varied by state. The effect was more significant in Nebraska, Kansas and western Missouri with nearly 90 percent of bankers indicating weakening business activity as a result of the agricultural economy in those states. In contrast, less than 60 percent of bankers in the Mountain States reported weaker activity. In Oklahoma, the effect was more subdued than a year ago, with only 27 percent of bankers reporting weaker activity compared with 65 percent in 2017. Despite some signs of stabilization in earlier quarters, agricultural credit conditions in the second quarter also weakened at a slightly faster pace. Following a trend similar to farm income, rates of loan repayment deteriorated slightly after showing signs of improvement in late 2017 (Chart 5). While the pace of renewals and extensions continued to decrease gradually, demand for farm loans remained high. Bankers also indicated they expect demand in the next three months to be even larger, reflecting anticipated increases to operating loan balances through the end of the growing season. Alongside the signs of weakening credit conditions, repayment problems across overall farm loan portfolios continued to build on increases of recent years. On average, bankers across the District reported that nearly 30 percent of the dollar volume of their farm loan portfolios was experiencing at least minor repayment problems (Chart 6). The weaknesses in the second quarter were especially significant in Nebraska and the Mountain States where bankers reported that the portion of their farm loan portfolio experiencing repayment problems was more than 35 percent. Increasing trends in repayment issues caused requests for farm operating loans to be met with more frequent denials. Although most banks reported that relatively few loan applications were denied, the number of denials in the second quarter increased. The percent of bankers reporting the denial of at least 4 percent of farm operating loan applications in recent years has increased steadily (Chart 7). In 2015, about a third of District bankers reported they had denied at least 4 percent of operating loans with that share growing in 2018 to almost half. In addition, very few bankers reported that less than 1 percent of applications were denied; most bankers reported denying more than 1 percent. Alongside heightened demand for loans and more scrutiny of borrowers’ loan applications, District bankers reported an additional decline in funds available for agricultural borrowers. While the agricultural lending cycle typically results in fluctuations in bank liquidity as operating loans grow to meet seasonal demands, the majority of bankers continued to report year-over-year decreases in available funds for the fourth straight year (Chart 8). Furthermore, the decrease in the availability of funds was expected to accelerate in coming months. 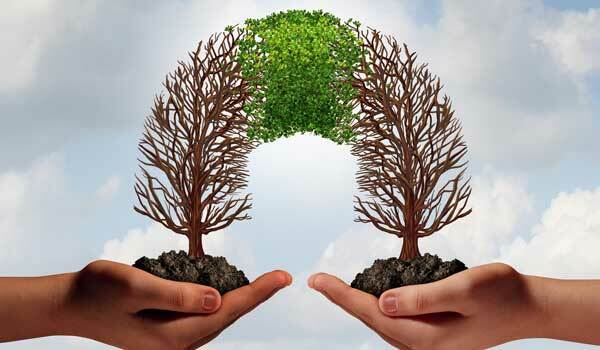 Lower liquidity was met with tighter lending standards as the majority of bankers reported they had increased collateral requirements compared to a year ago. An important factor in tightening liquidity, deposits at some agricultural banks in the District also declined from a year ago as weakness in the farm economy persisted. In the second quarter, about 35 percent of District banks reported a decrease in deposits from a year ago (Chart 9). Of those reporting a decrease, nearly 30 percent attributed the decline to lower farm income—other factors included depositors seeking alternative investments, an aging customer base and rates at competitor institutions. About 35 percent of bankers also reported an increase in deposits, driven by the implementation of deposit growth strategies and increases in oil and gas revenue in some parts of the District. Interest rates on farm loans continued to rise in the second quarter, building on those of a year ago. The increase in the second quarter was largest for variables rate loans, growing about 6 basis points more than fixed rates for the same type of loan (Chart 10). As the increases in variables rates have outpaced those of fixed rates, the spread between the two has narrowed. While increased interest expenses are unlikely to have a significant impact on farm income in the short term, higher rates are likely to influence decisions in making longer-term capital and real estate purchases. 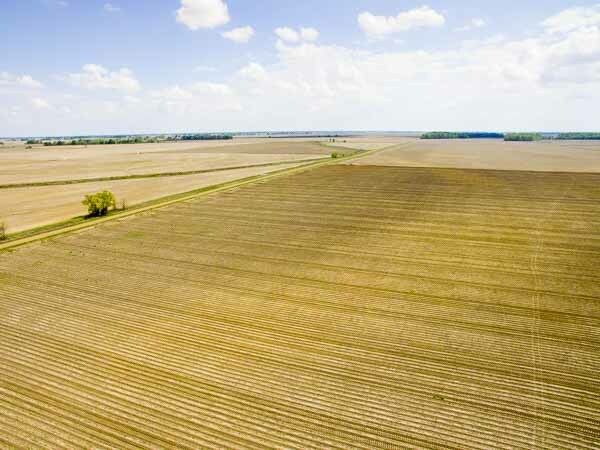 Recent increases in interest rates could continue to put pressure on the market for farm real estate, but farmland values generally remained steady. The annual rate of decline in the value of farmland in the second quarter was relatively small for all land types across the District (Chart 11). 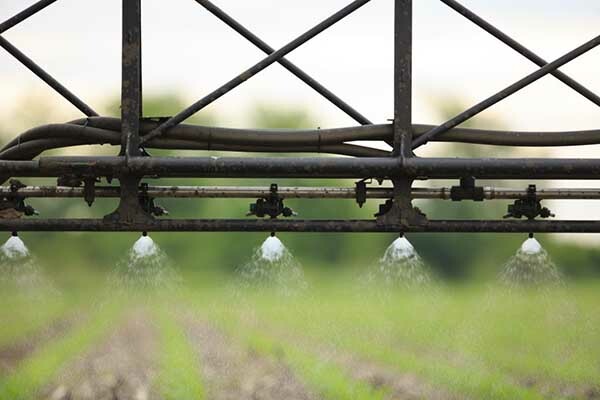 The value of irrigated cropland decreased most significantly, declining about 4 percent from a year ago. Ranchland values also edged lower, but at the slowest rate since early 2016. The year-over-year decline in the value of non-irrigated cropland was the smallest since early 2015, a time when values for all land types began to decrease from historical highs. 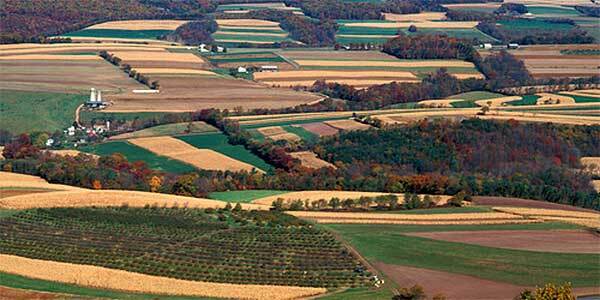 Despite relatively limited declines in farmland values across the District as a whole, changes varied across states. Second-quarter changes in farmland values were most significant in Nebraska but, even there, the declines remained relatively modest (Table 1). Bankers in Kansas also reported modest declines while values in Oklahoma increased slightly. The variation likely was influenced by differences in major commodity concentrations with the slump in corn and soybean prices likely placing pressure on values in Nebraska and strong cotton markets providing some support for increases in Oklahoma. Despite further decreases in farm income, cash rents in the second quarter also declined at a relatively modest pace. Following a three-quarter trend of modest increases, cash rent for ranchland decreased about 3 percent due, in part, to a decline in cattle prices (Chart 12). Slight declines in cash rents for farmland reduced farm expenses slightly, but the overall cost of production relative to commodity prices has continued to weigh on farm income. A sharp drop in the price of corn and soybeans contributed to a bleaker view of the District’s farm economy in the second quarter. For many agricultural borrowers, cash flow already had been a significant concern, but likely was exacerbated by the recent drop in prices amid ongoing uncertainty surrounding the future for agricultural trade. Interest rates on farm loans of all types continued to edge higher, but the value of farmland still only declined at a modest pace. If crop prices remain low through harvest, many farm borrowers likely will face additional increases in financial stress and the future path of agricultural credit conditions may hinge on the strength of farmland markets.